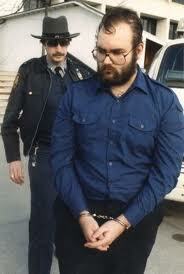 Richard Angelo was sentenced to sixty-one years to life. Most recently, Angelo was incarcerated at the Clinton Correctional Facility in Dannemora, New York. The Judge rejected polygraph evidence provided by the lawyers of Angelo. Mr. Angelo did pass the polygraph tests when questioned about his victims. His lawyers fought very hard for the use of the polygraph evidence. One juror stated that Mr. Collins (Angelo's lawyer) did not form enough convincing evidence to defend Angelo. Two psychologists claimed that Angelo suffered from dissociative identity disorder, but the judge didn't allow for the use of polygraph tests. After seven and a half days, the jury convicted Angelo on two counts of murder, one of manslaughter, one of criminally negligent homicide, and one of assault (not correlated with the deaths). While in custody, Angelo admitted to his crimes. Also, he admitted to "poisoning two patients on an average per week in September and October of 1987." There is a taped confession of Angelo. The confession happened during an interview with authorities. Angelo harmed thirty-seven patients during his tenure at the Good Samaritan Hospital. Sadly, only twelve patients survived Angelo's attacks. Also, twenty-five patients died due to Angelo's reckless actions. Angelo was a former Eagle Scout and volunteer fireman. Ultimately, Angelo could not control his hunger to become a hero and allowed for his ill mind to control his actions. Angelo is 51 years old now. He was most recently incarcerated at the Clinton Correctional Facility in Dannemora, New York.